The Bishop Arts District is home to over 60 boutiques, restaurants, bars, coffee shops, theaters and art galleries. Located in the heart of North Oak Cliff and only five minutes from downtown, we boast one of Dallas' most unique neighborhoods with our historical shopping district full of great finds, good eats, and good ol' Oak Cliff charm! 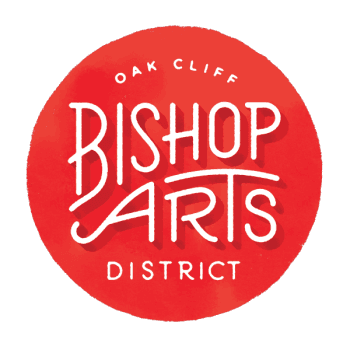 While many of the shops stay open late on the weekends to provide a fun shop, stroll, and eat environment for visitors, the Bishop Arts District is populated with many independently-owned businesses, so please contact them directly for their hours of operation. Our popular Wine Walks are held 3-4 times a year on the first Thursdays of a given month. Check out our Events page for details.